Tata! Here are the first pics of of the highly-­anticipated collector toy, Barbie Lagerfeld, a collaboration between Mattel, Inc. and KARL LAGERFELD. Taking inspiration from the the designer’s signature style, Barbie Lagerfeld is dressed in his likeness with accents taken from the real KARL LAGERFELD line. Borrowing from Karl’s iconic silhouette, the doll wears a tailored black jacket, white high-collared men’s shirt with French cuffs and black satin cravat finished off with fitted black jeans featuring the iconic all-over head print. The exclusive doll is adorned in accessories that include black fingerless gloves, sunglasses, black ankle boots and a leather purse with silver metallic accents. The worldwide launch is set for Monday, September 29, 2014 during Paris Fashion Week. The Platinum-label Barbie Lagerfeld doll will be available in limited quantities (only 999 dolls will be produced) for approximately $200 USD or €200 Euro through exclusive retail channels including; NET-A-PORTER , select KARL LAGERFELD retail stores, TheBarbieCollection.com, and Colette in Paris. 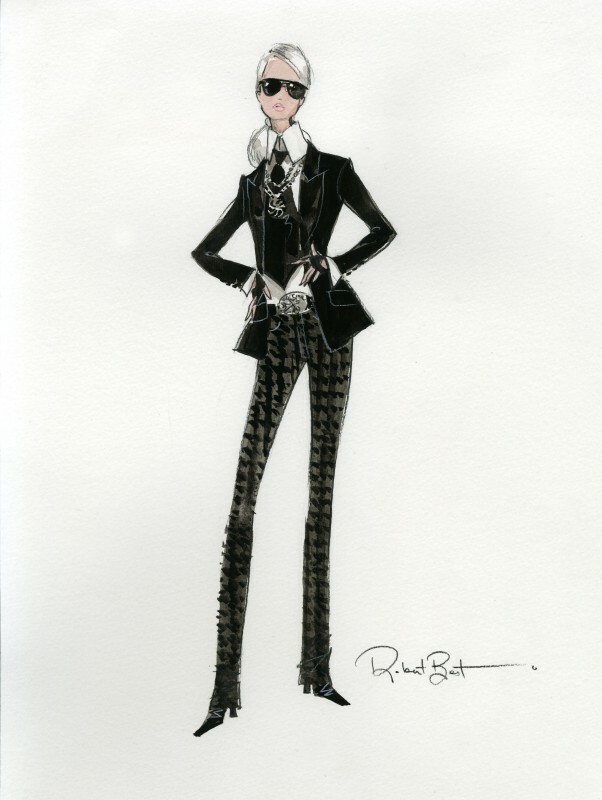 Photos: Courtesy of Karl Lagerfeld and Mattel, Inc.